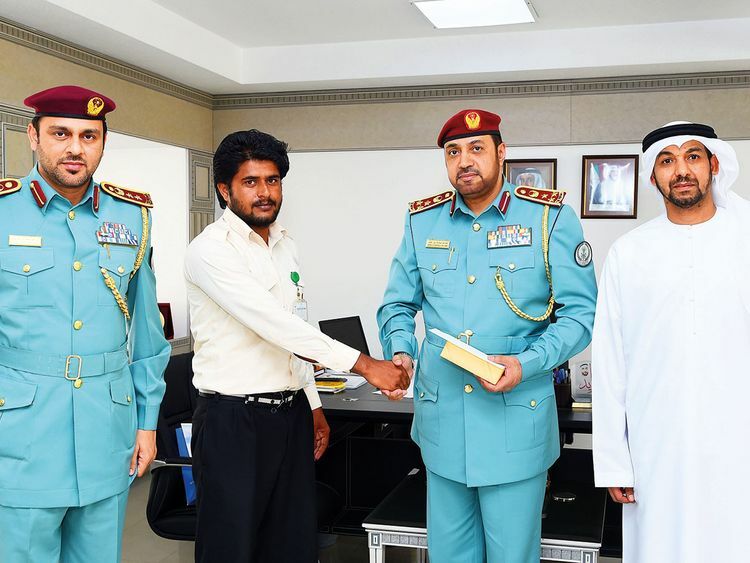 Sharjah: Pakistani national Muzaffar Hussain Nather was given an act of bravery award on Tuesday for his part in foiling a robbery and handing the suspect over to police. Brigadier Abdullah Mubarak Bin Amer, Deputy Commander-in-Chief of Sharjah Police, praised Nather’s bravery and said he was a role model for others. Nather thanked Sharjah Police for the honour and said the award would motivate others to cooperate with police. Colonel Ebrahim Al Ajel, Director of Criminal and Investigation Department at Sharjah Police and Colonel Yousif Bin Harmoul, deputy director of police stations also attended the ceremony.